Tidewater Inc. (NYSE:TDW) announced today that Dean Taylor, its President and CEO since March 2002, will retire as an executive officer of the company effective May 31, 2012, after a 34-year career with Tidewater. Mr. Taylor will remain on the Board of Directors, and serve as Tidewater’s non-executive Chairman of the Board. Jeffrey M. Platt will become Tidewater’s new President and CEO effective June 1, 2012. Platt has been Tidewater’s COO, overseeing Tidewater’s domestic and international marine operations, since July 2006. Platt joined Tidewater in 1996 as General Manager of its Brazilian operations following a 12-year career at Schlumberger. At Tidewater, he has continued to assume greater responsibility with assignments in Mexico, the Middle East and India, and the Americas. Mr. Platt’s substantial operational and executive experience within Tidewater, combined with Mr. Taylor’s role as non-executive Chairman of the Board, ensures the executive transition will be a smooth one. Mr. Jeffrey A. Gorski will succeed Mr. Platt as Tidewater’s Executive Vice President and COO. Gorski joined Tidewater in January of this year after a 28-year career at Schlumberger. Currently, Gorski is a Senior Vice President responsible for Tidewater’s operations in the United States and its engineering and technical services group. Effective June 1, 2012, Mr. Gorski will assume responsibility for worldwide operations. 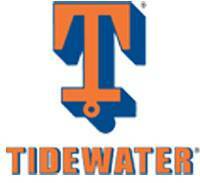 Tidewater Inc. owns 342 vessels, the world’s largest fleet of vessels serving the global offshore energy industry.